While 2015's Straight Outta Compton was an entertaining enough film, anyone who has truly followed the rise and eventual disintegration of N.W.A. knows the box office hit only told part of the story. For those of us who wanted a deeper dive into the sprawling history of N.W.A. and the scene they helped birth, Original Gangstas: The Untold Story of Dr. Dre, Eazy-E, Ice Cube, Tupac Shakur, and the Birth of West Coast Rap is here to satifsy that itch. 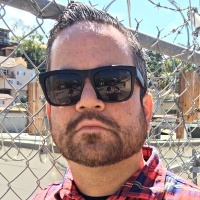 Having already tackled the southern hip-hop movement with his 2011 book, Dirty South: Outkast, Lil Wayne, Soulja Boy, and the Southern Rappers Who Reinvented Hip-Hop, author Ben Westoff was the right man for the kind of research and reporting that Original Gangstas called for. Westoff certainly rises to the occasion again, delivering exhaustive histories for each of the key players in the book. I already knew about the 1991 incident where Dr. Dre attacked hip-hop DJ/TV host Dee Barnes at a music industry party, but the book lays out many more facts and incidents about The Chronic mastermind that convinced me that he's a piece of trash outside of the recording studio. I won't give the details away, but the Barnes episode isn't the only time Dre beat up a woman, not by a longshot. Westoff also goes into the hedonistic mayhem that was N.W.A. 's wild touring lifestyle. Think Mötley Crüe's The Dirt set to the sounds of a KDAY mixtape, circa 1989. What other music group can you think of that filled their tour bus with an arsenal of automatic weapons? Original Gangstas also satisfied the music geek in me with the stories behind the formations of both Death Row Records and Ruthless Records, Eazy E's complicated relationship with his manager and mentor Jerry Heller, and the shady origins behind the famed East Coast vs. West Coast beef of the '90s. 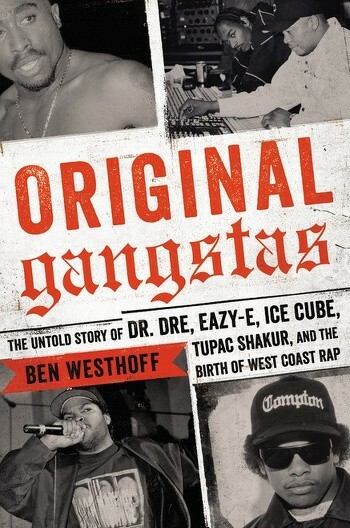 If you want more obscure trivia, don't worry, because Westoff includes stories involving Da Lench Mob, Above the Law, and other integral SoCal rap artists throughout the book. After finishing Original Gangstas, all I could think was that it would make for a killer documentary miniseries like the recent ESPN production, O.J. : Made in America. Hopefully someone with deep pockets in Hollywood agrees with me.